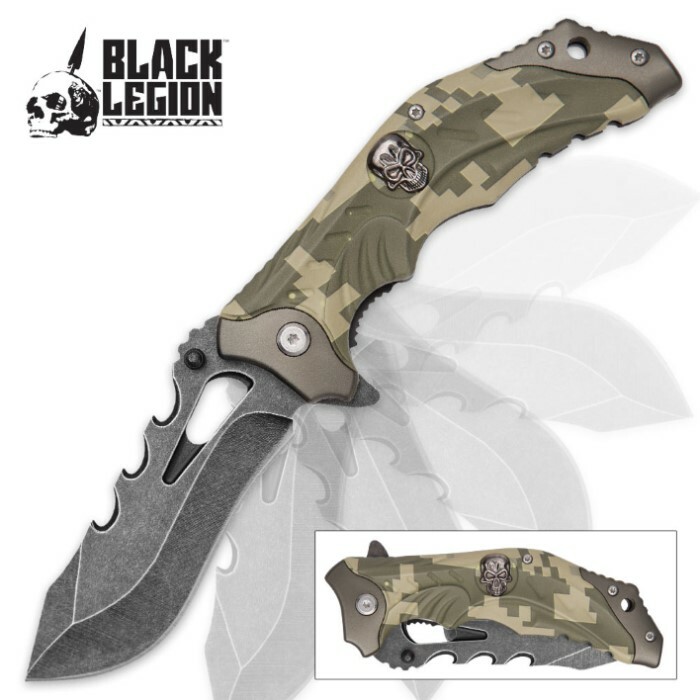 Black Legion Digi-Camo Pocket Knife | BUDK.com - Knives & Swords At The Lowest Prices! New from Black Legion, this beefy pocket knife will feel completely comfortable in your hand when you use it for everyday tasks. 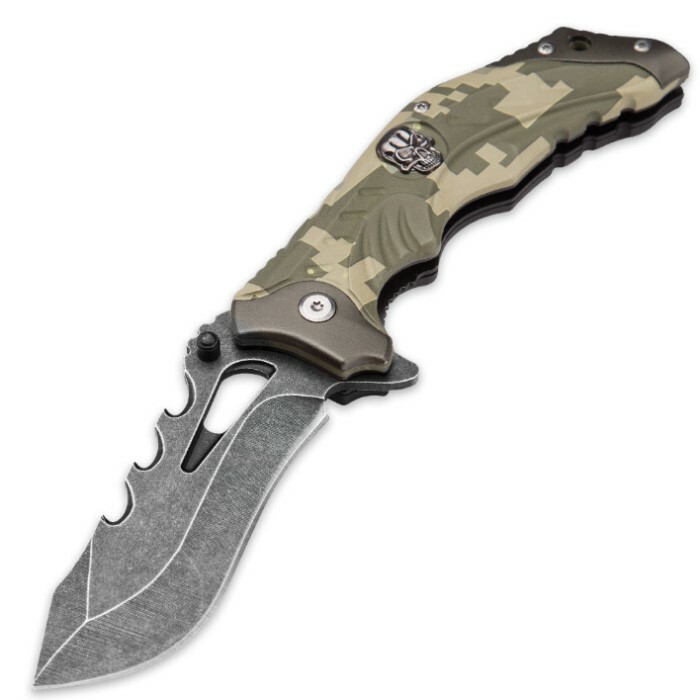 It has a 3 1/2” 420 stainless steel blade with a grey stone-washed finish and wicked-looking cut-outs on the spine. You can access the blade quickly with the flipper or thumb stud with the assisted opening mechanism. The ergonomic handle gives you a secure grip and it is crafted of strong ABS and features a Digi-camo design. The pocket clip makes it easy to just clip it and go. The pocket knife is 4 1/2” closed.